Full scale replica of Boeing 747 Mode Control Panel with EICAS selector. • Pushbuttons status color: amber. • Backlight color: warm white. • Display characteristics: LED 7 segment. Digit height: 0,3" (7,6 mm). • Encoders characteristics: one million cycle rated, 30 increment for rotation (with detent). • V/S Horizontal digital encoder to set Vertical Speed (30 increment for turn). • Dual concentric HDG-SEL knobs with 6 positions BANK ANGLE limit selector (AUTO, 5, 10°, 15°, 20°, 25°). • Toggle switches for Auto Throttle ARM switch. • Toggle switches for Left and Right Flight Director. MCP747 is a full scale replica of Boeing 747 Mode Control Panel. The module is complete and ready to use and interface with Microsoft Flight Simulator and Project Magenta. The MCP747 is connected to the PC through USB cable (provided). The MCP747 can be directly powered by the USB (USB 2.0 with 500mA current capability or an HUB with its own power is recommended). Through the USB it is possible to supply the MCP and two EFIS selectors; a DC plug allows to connect an optional power supply to supply further expansion modules. USB driver and test program software can be free downloaded. MCP747 interfaces with Microsoft Flight Simulator through Project Magenta MCP software, CPflight driver for default FS aircraft and LVLD767. It is also compatible with SimAvionics, FlightDeck Software and Xplane. The MCP747 hardware establishes an interface with all compatible software; logics, operating modes and aircraft behavior are managed by software. MCP747 is equipped with high quality level components: one million cycle rated encoder, warm white backlight, autothrottle ARM switch, 2 FD switches and bank selector knob give a high fidelity performances and a never seen kind of realism. The MCP747 disposes of the auxiliary input to connect switches/pushbuttons for external TO/GA and external backlight control. MCP747 is supplied with wide expansion capability through the DIN 5 pole auxiliary socket. 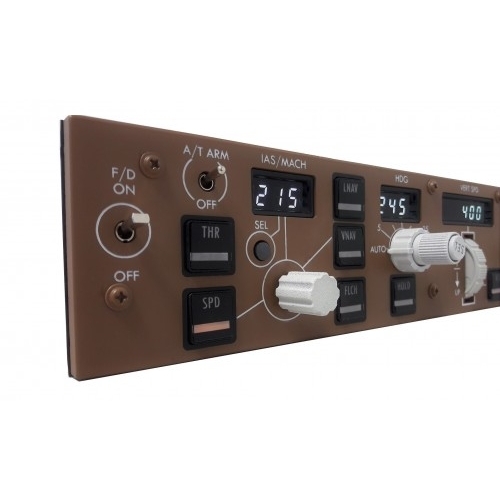 This allows you to connect and interface CPflight plug&play expansion modules (like EFIS selector and other future modules). You may add new modules at anytime; the MCP forms the core for data exchange between modules and flight simulator. Each module is supplied with 5 pole cable and is ready to be used without need any software configuration. 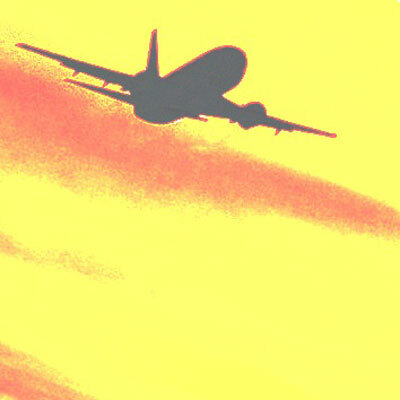 EICAS selector is already included in the MCP747 (only software with EICAS functions are supported). No need to configure or power the EICAS in any way. 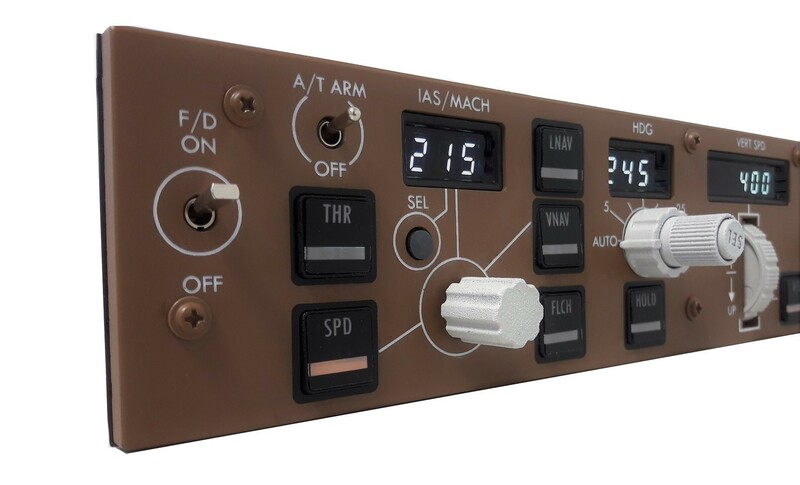 The MCP747 panel is equipped with: 13 backlighted pushbuttons; 1 round pushbutton to select IAS/MACH Auto Throttle ARM switch; two Flight Director switches; vertical speed thumb wheel and flat disengage lever. All selected values are shown through 7 segments white LED displays. The 16 bit microcontroller gives you a simple way to upgrade the built-in operating program (firmware). This feature is useful for update your MCP with improvements and future expansion. The EICAS panel is equipped with: 8 pushbuttons for ENG, STAT, ELEC, FUEL, ECS, HYD, DRS, and GEAR; 2 round pushbuttons to select CANC and RCL. The front panel MCP747 + EICAS selector (dimensions 500 mm width and 73 mm height) is backlighted. 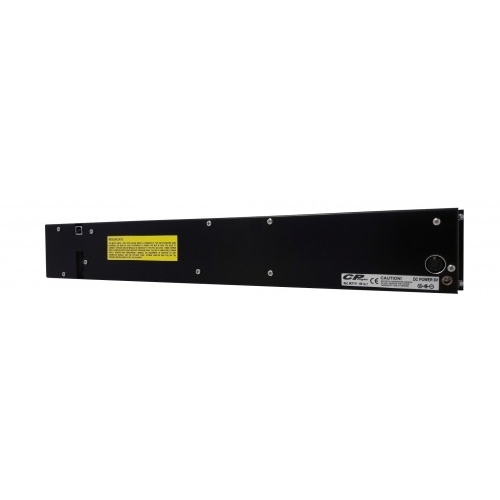 The backlight does not require any external addition, everything is built-in the MCP and the control is directly given by Flight Simulator instrument light status or connecting an external switch to the related input. 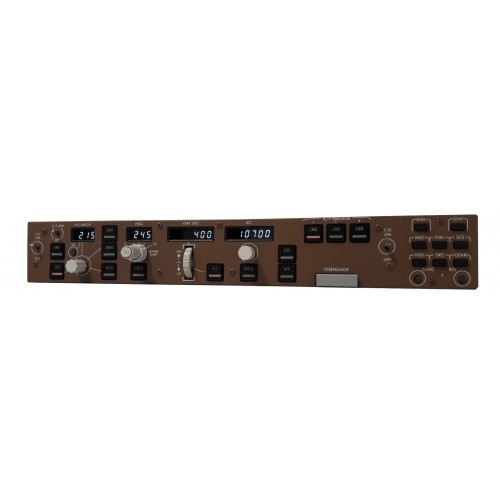 The MCP747 firmware provides an internal program mode to configure the main preferences in the hardware functionality. The MCP747 takes on charge all the connected modules, dealing the communication between them. For this reason MCP747 does not require further driver installations or software configurations and does not take USB ports on the pc. Behind the panel the thickness of our MCP747 is besides of 26 mm.